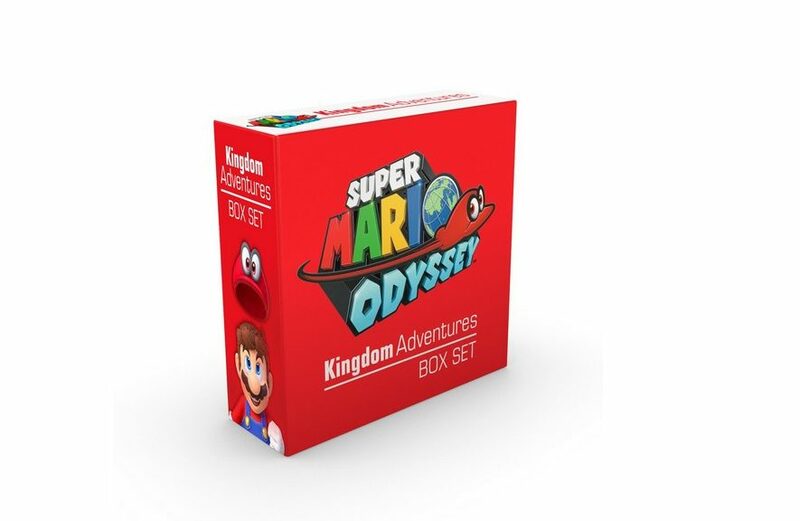 Prima Games, a company that makes official guide books and other material, is publishing something called Super Mario Odyssey Kingdom Adventures Box Set in North America on November 6, 2018. Super Mario Odyssey Kingdom Adventures Box Set is a collection of six Super Mario Odyssey Kingdom Adventures books featuring Mario on his adventures in the different kingdoms. The box also contains a colorful poster and three foam sheets for you to build a stylish display case. Pre-order yours here (ships worldwide). Follow Mario as he journeys through the remarkable world of Super Mario Odyssey! See all the sights, meet interesting inhabitants, and get your hands on the best souvenirs. This high-quality box set includes all six Super Mario Odyssey Kingdom Adventures books in a neatly constructed package so you can relive the entire Super Mario Odyssey experience! It also includes a colorful 12″ x 18″ poster and three foam sheets you can use to build a stylish display case.